You rely on your temporomandibular joint (TMJ) hundreds to thousands of times per day. Whether you’re eating, laughing or talking to friends, your smile and teeth don’t move unless your jaw joints do as well. The way your teeth bite and fit together can impact the function of the hinge joints at each end of the mandible. To ensure your TMJ can work efficiently and without constriction, we may need to make small modifications in the way restorations fit or replace missing teeth. By retraining overactive muscles, you can relax the TMJ and minimise side effects such as headaches and facial pain. A custom bite splint or protective mouthguard is ideal for wearing at night or during your commute home from work. Specific types of cosmetic injectables serve a dual purpose of relaxing the muscles they’re used on. As such, certain products can effectively minimise TMJ pain for several months at a time. Misaligned jaws and teeth make it so that the upper and lower jaw cannot close together properly. 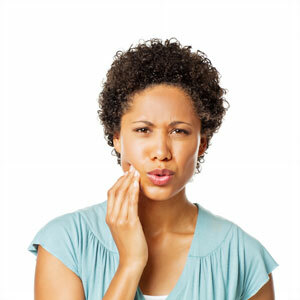 When you make compromised movements in order to chew or bite down on food, the cumulative effects on the TMJ can lead to eventual pain and joint damage. Are you experiencing joint pain or frequent headaches? You could have TMJ disorder (TMJD). Book a consultation and assessment with Dr Meng Quah-Shepherd (Dentist) to get screened and learn more about the best type of treatment for your specific situation. With the right kind of neuromuscular approach to treatment, most jaw pain sufferers can avoid having surgery!